Hello nomads! It's been awhile and now I think I should post more often because every penny I pay for my domain (the dotcom thing) seems to be wasted. hahaha kidding! 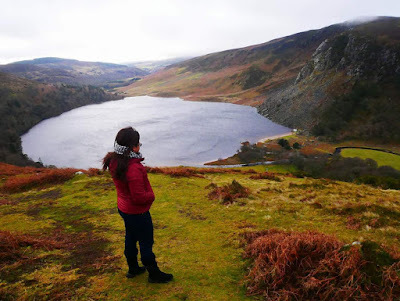 To start with, let me share my experience in Wicklow. It is one of the 32 counties in the Republic of Ireland and the last county that was formed, as late as 1606. It belongs to the province of Leinster in the middle-east region of the country. There is a lake that can be found in the Wicklow mountains that captivated my heart, named Lough Tay. 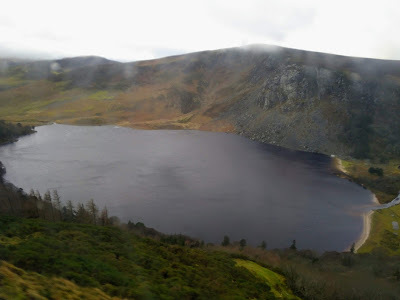 It is situated in Sally Gap of County Wicklow which is famous for its Guinness-like complexion and for this, it is also known as The Guinness Lake. Its primary inflow and outflow is the Cloghoge river. Moreover, it is highly important to ask permission first before going closer to the lake. 2. Avail a getaway package tour from various tour agencies, ours was the Paddywagon. I didn't know Ireland has so many countries. Is there no any other chance to get there through public transportation?